Bigger isn't always better. Case in point, the SKEYE Nano 2 FPV Drone is the world's smallest camera drone, but it boasts an unrivaled flying experience. With adjustable gyro sensitivity and 6-axis flight control system, this tiny drone is easy to control for even the most novice pilots, making it a perfect gift for the aspiring aviator on your list. Plus you can take an extra 20% off its sale price when you plug in the BFRIDAY20 coupon code at checkout, bringing the total to just $51.20, down from $99. Featuring Ready to Fly Technology, the SKEYE Nano 2 FPV Drone makes operation easy for beginner pilots. 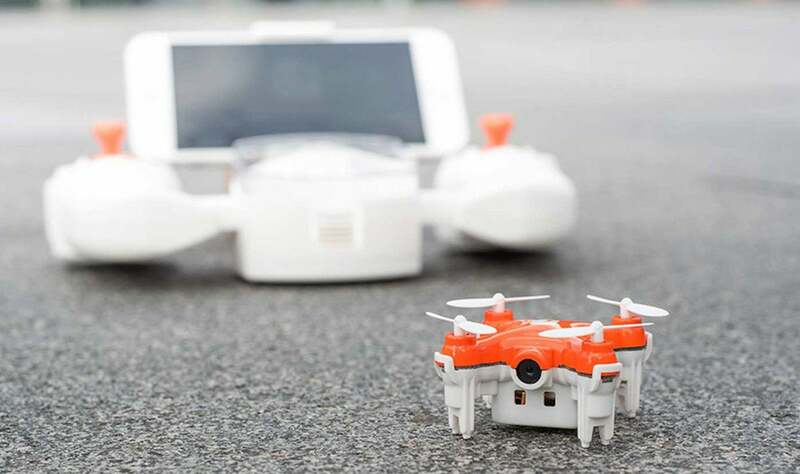 You can take off, land, and hover easily with built-in auto-functions, and it can capture real-time, first-person video with its HD, WiFi-controlled camera. Plus, with its built-in LEDs, you can even take it out for night flying and navigate without a problem. Now, the SKEYE Nano 2 FPV Drone is on sale for $64, but you can get it for $51.20 when you plug in the BFRIDAY20 coupon code at checkout.